Join us at the Gilchrist Farm on December 8th & 9th 2018 for Holidays at the Farm! Holiday Horse and Rider Parade Saturday at 10AM! This event is sure to please as elves, angels and others parade past on decked out horses-Delivering Santa to the Hoedown by wagon! 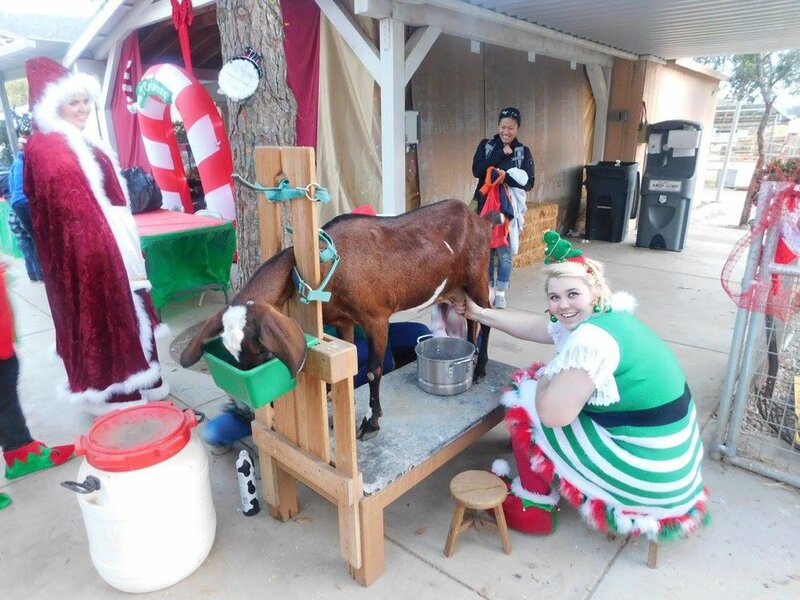 Festive Petting Zoo-Goats, pigs, bunnies, ducks, chickens! Santa-Available All Day, both days for Wishes and Pictures. Write Santa a Letter! Local Vendors for Holiday Gifts -Handmade Crafts, Jewelry, Local Authors, Crafty Goods, Clothing and More! Handmade Goats Milk Soap and Gilchrist Farm Merchandise and Gift Cards for Gifting Lessons, Classes, Summer Camp, Pony Rides and More! Interested in becoming a Vendor for the Holidays at the Farm? Please read the details here. If you are a good match-please fill out the form below. Once you’ve been approved, you can sign up for your day/days below. Vendors who sell local, hand crafted, unique items or who are local representatives of larger businesses are welcome to join us! We also accept local businesses seeking to promote their goods and services, as long as the content is a good match. We are looking for Farm Friendly vendors-this is an outdoor venue. Because we allow local non profit groups and clubs to raise funds through bake sales, we don’t generally take food service vendors. We do seek out and accept sealed food items for sale (oils, peppers, chocolate, honey). Vendors will need to load in by 9AM and will not be able to load out until after the event ends, after 5PM. Vendors need to provide their own shade, tables, chairs, etc. (be self contained). The vendor fee is $40 per day. We encourage all vendors to be able to accept credit cards onsite to have the most successful event possible.